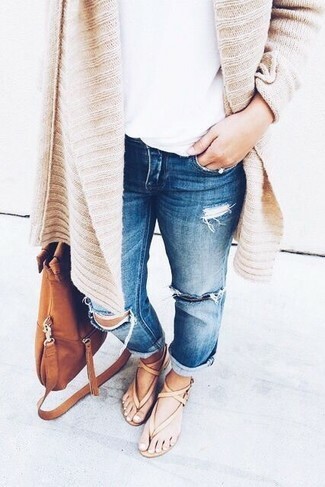 If you're a fan of relaxed dressing when it comes to fashion, you'll love this extra cute pairing of a white oversized sweater and a tobacco leather tote bag. You could perhaps get a little creative in the footwear department and lift up your look with black suede ankle boots. If you're a fan of relaxed dressing when it comes to fashion, you'll love this adorable pairing of a white short sleeve sweater and a L'Autre Chose rivet tote. Add a glam twist to your getup with tobacco cutout leather pumps. 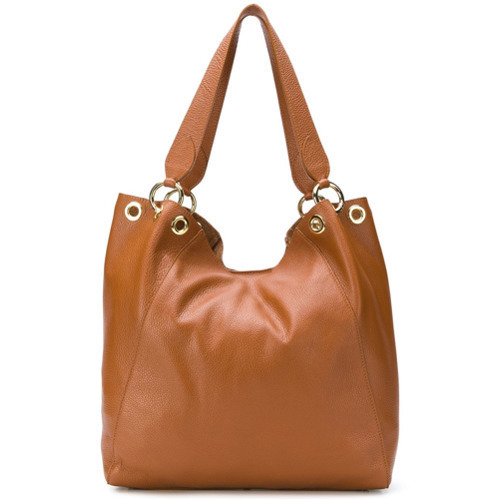 If you're all about relaxed dressing when it comes to your personal style, you'll love this chic combo of a tan knit open cardigan and a tobacco leather tote bag. When it comes to shoes, this getup pairs wonderfully with tan leather thong sandals. 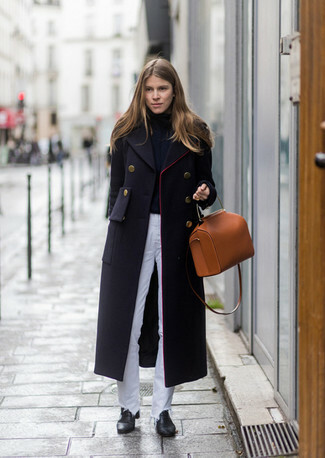 Try pairing a black coat with a tobacco leather tote bag, if you want to dress for comfort without looking like a hobo. 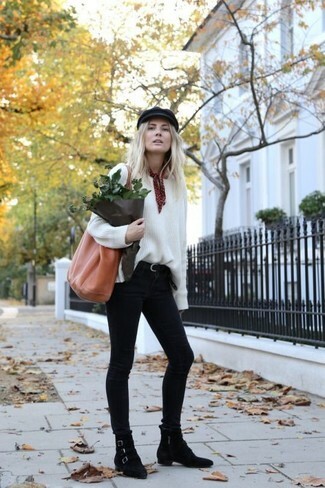 Let's make a bit more effort now and opt for a pair of black leather ankle boots. 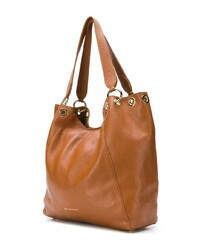 Wear a white dress shirt and a L'Autre Chose rivet tote for a lazy Sunday brunch. Tobacco leather sandals will add a sportier vibe to your ensemble. If you're all about functionality dressing when it comes to fashion, you'll love this adorable pairing of a navy and white polka dot swing dress and a L'Autre Chose rivet tote from farfetch.com. Bump up the cool of your getup by complementing it with tobacco leather pumps. 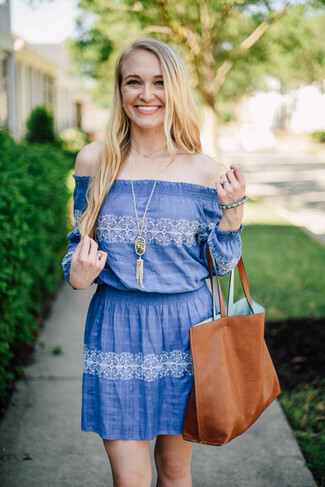 If you're a fan of relaxed dressing when it comes to your personal style, you'll love this totally stylish combo of a blue print off shoulder dress and a L'Autre Chose rivet tote. If you're all about relaxed dressing when it comes to your personal style, you'll love this totally stylish combination of a pink vertical striped dress shirt and a L'Autre Chose rivet tote from farfetch.com. You could perhaps get a little creative when it comes to footwear and lift up your ensemble with tobacco leather heeled sandals. 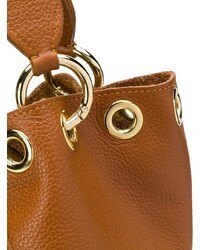 Pair a white biker jacket with a L'Autre Chose rivet tote, if you want to dress for comfort without looking like a slob. You could perhaps get a little creative when it comes to footwear and spruce up your look with tobacco leather ankle boots.